Want to get the best out of your digital camera? Not quite sure how to capture up-close shots? Want easy to follow, expert advice on the best ways to creatively capture macro shots you can be proud of? 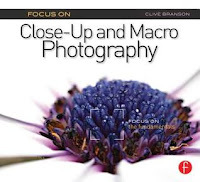 Focus on Close-Up and Macro Photography is an interesting read with many good tips for both the novice and the more advanced photographer. Some areas overlapped things I have read elsewhere in more general photography manuals. Perhaps I would have preferred less of that general information and more detailed information on macro photography, but it was still a good refresher in any case. As you'd expect, this book offered plenty of beautiful example shots that really show off the expertise of the photographer. I would recommend this book for mid-level photographers who are looking to improve their close-up work.